« iBUYPOWER AM003i Gaming PC Review, Is It Worth The Investment? 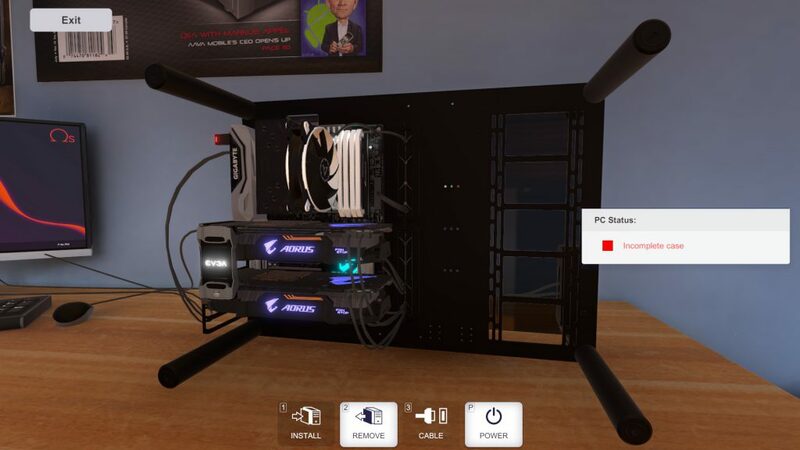 When I booted up PC Building Simulator for the first time I went straight into putting a PC together that would resemble my actual PC. They had an EVGA GTX 1070 but they didn’t really have any of the other parts that I’m using. But the fact that the lighting is exactly how it is on the graphics card and each part was designed to act and look exactly how it does in real life… it was a delight to see! You don’t just pick parts and click a button to install the parts. You actually have to unscrew the side panels of the case, screw in the motherboard’s standoffs, open up the CPU shield, apply thermal paste to the CPU, close the CPU shield, open up drive bays before installing hard drives and plugging in peripherals before being able to use the computer. Each cable is connected one by one, just like how it’d be putting a real build together! It’s fun to do the process and, at least for me, is sort of a meditative experience. I can easily zone out and put together any type of build that I can think of. There isn’t a crazy large selection of parts quite yet but there is enough there to put together an ideal build using most of today’s hardware. There is GTX 1050 Ti’s GTX 1060’s, GTX 1070’s, GTX 1080’s, RX 580’s. GTX 970’s and more to use. Same goes for processors, RAM, hard drives and cooling. Real parts from real companies are used and it’s very accurate how they designed everything to work together. Some of the aspects of putting a real build together such as the struggle of getting that small cable to fit, all of the little cables for the HDD light and what not and all of the steps of installing the OS isn’t there so for new builders, they’re in for a little surprise if they used this as a “tutorial” of sorts. 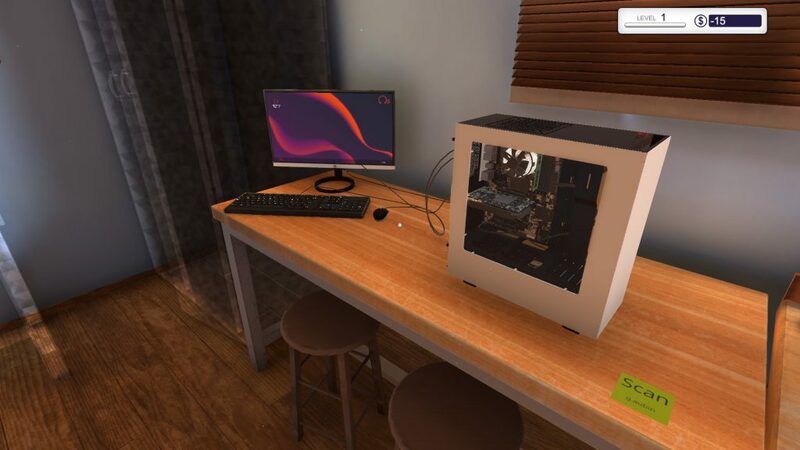 Still, the steps you take to put a PC together in PC Building Simulator is the exact same steps you’d take in real life. It’s a great tutorial and has a couple of modes to have fun with the platform they’ve built. As time goes on I’m sure they’ll add in more aspects to the career mode but as is, it’s pretty fun. Think of it kind of in the since of Game Dev Tycoon where you slowly build up your company and get rewarded for doing things the right way. The story goes that your uncle left the computer business for you to build and wishes you the best. You get clients that have problems such as needing viruses removed, upgrading their graphics card or simply cleaning their PC out with some air duster. You level up as you complete jobs and when you level up more parts become available to buy. When someone needs an upgrade you can overdraft your account a bit in order to have the part before their computer comes into the shop. This way you can profit from the installation by having the part shipped the same day as the computer comes into your shop. You’ll get sent a bunch of emails for different jobs and as you grow you’ll be able to work on more than one PC at a time. I’m not sure how the career mode concludes or anything as I’ve only gotten up to level 2 but I’m sure it starts to get crazy. Even at level 2 I’d get 3 emails in a day. You’ll get plenty of jobs every day in your email. Do them right and you’ll get paid a hefty sum. The whole point of the career mode is to build up your company and make the most moolah that you can. I’m sure that as you level up to the higher levels the amount of jobs you get can get overwhelming and everything starts becoming a challenge of remembering which PC needs what done and when. I was more so interested in having a platform for putting together random systems and testing them out and although I wish there were more features to go along with it, it’s still a blast! You can also jump into free build mode which gives access to all of the parts in the game and all of the desks to work at in the shop. 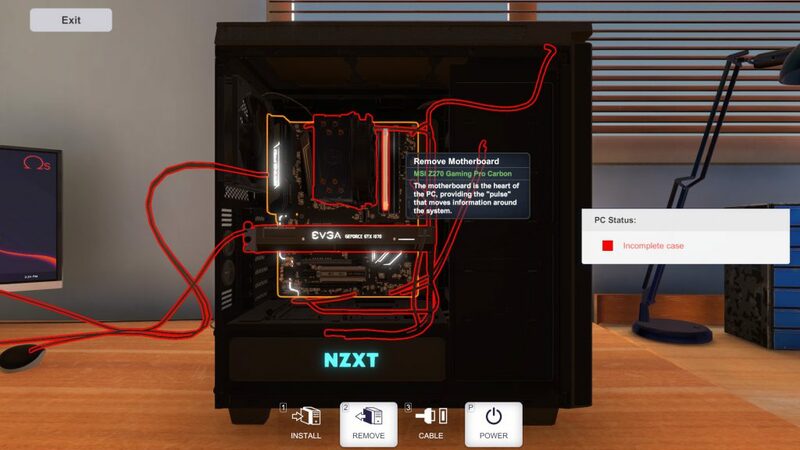 This way you can build multiple PCs and really see the limits of the parts. What I mean by seeing the limits of the components is that you can actually run a 3D Mark benchmarking software once you install the operating system and get the PC running. 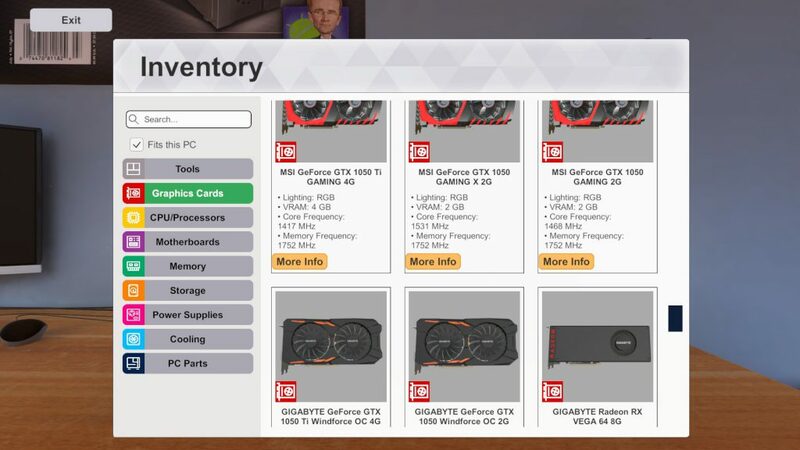 Then it gives you a rating of your PC which you can compete for in leaderboards to see who was able to put together the best machine for the benchmarks. 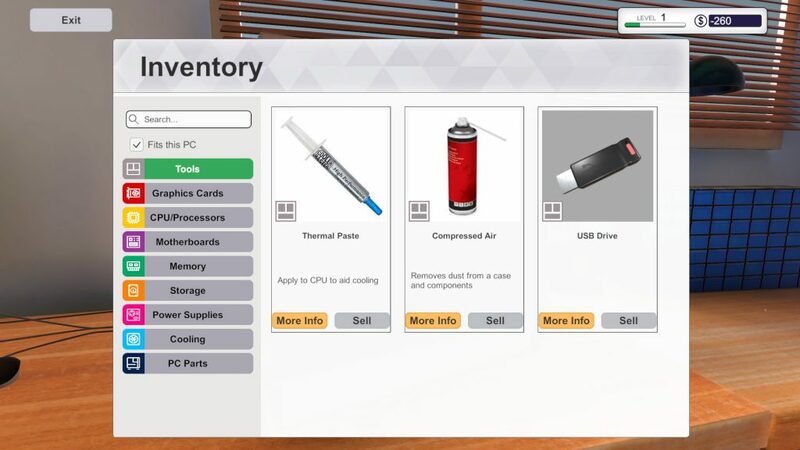 In Free Build Mode you’ll be able to use any part that you want to put a PC together. 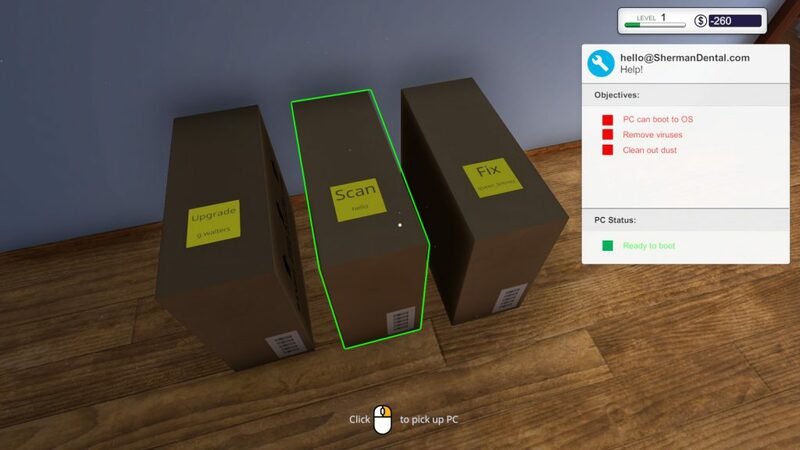 This is great if you plan on using some of these parts in a real build because you’ll be able to see exactly how it all gets installed and put together. Again, it would have been cool to see them implement a way to show how some of the connections are a struggle. Maybe a “hard” mode where you have to connect all of the little cables for everything just to see how it can be hard to tell at times. They’ve built a pretty cool platform and if they keep at it they could have the ultimate PC store simulator. With the accuracy, amount of parts and future plans… it seems to be well on its way. As an early access title there are plenty of features that still have yet to be added. I’m looking forward to the new updates that they have planned! Even on the day of this writing they added SLI support to where you can have dual GPUs running on the build. At some point they should add where you can add as many GPUs as you want, granted that you have the compatible parts to do so. They have a small list of planned features that I’ve taken a screenshot of from their Steam page on the right. Liquid cooling would be very fun to mess around with… I wonder if they plan on getting custom water cooling. That’d be wild! I’d like to see a ThermalTake partnership simply because I use the ThermalTake Versa C21 case and the ThermalTake WATER Riing cooler in my current build. 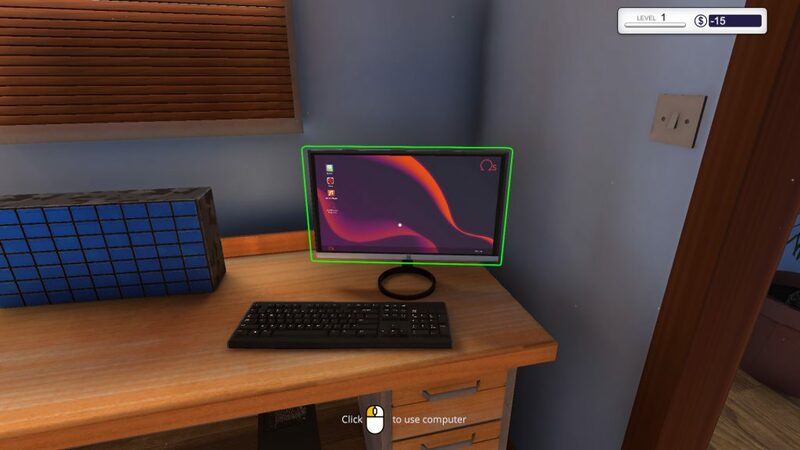 It’d be amazing to be able to have a virtual representation of my real PC! I could see them adding the ability of buying bigger warehouses and maybe even having multiplayer support for a crazy level of business coming through. I’m excited to see where they take it! The graphics for each part is extremely well done. You can tell that they take their time and really get each detail down. I was caught off guard with how well the graphics are and decided to share some screenshots! I’m sure that as time goes on they’ll change up how the UI looks to a more modern style but it’s still not bad at all. It takes a long time to make these models and what not and even longer to make sure everything looks the way that it would in real life once everything is connected, kudos to them! 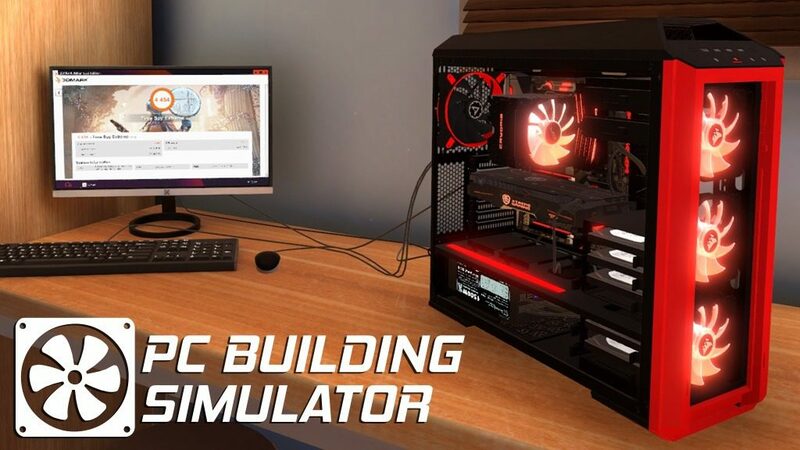 If you want to see what it’s like to put a build together as a virtual tutorial or if you simply want to have an accurate simulator with a career mode to go with then you should definitely look into picking up PC Building Simulator. It’s priced at $20 which in my opinion is a little much but by buying it you support the future development process and once they have all of the partnerships and hardware into the game that they have planned then I could definitely see it being worth $20. If it’s on sale then it’s for sure worth picking up if you’re interested in this type of game. 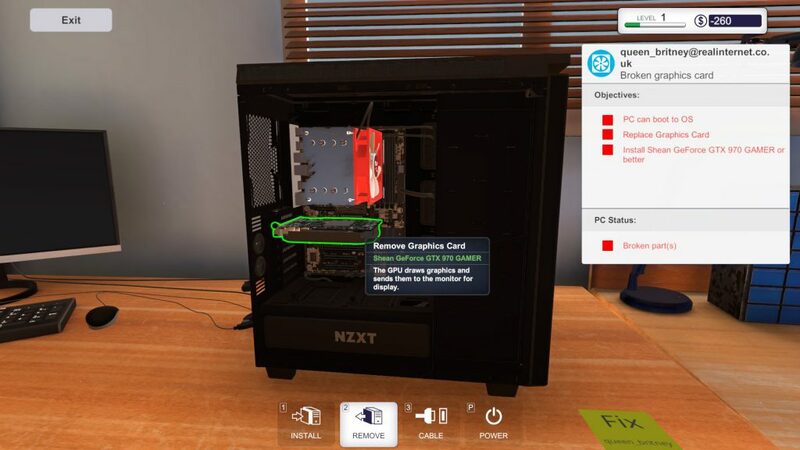 Check Out PC Building Simulator On Steam! 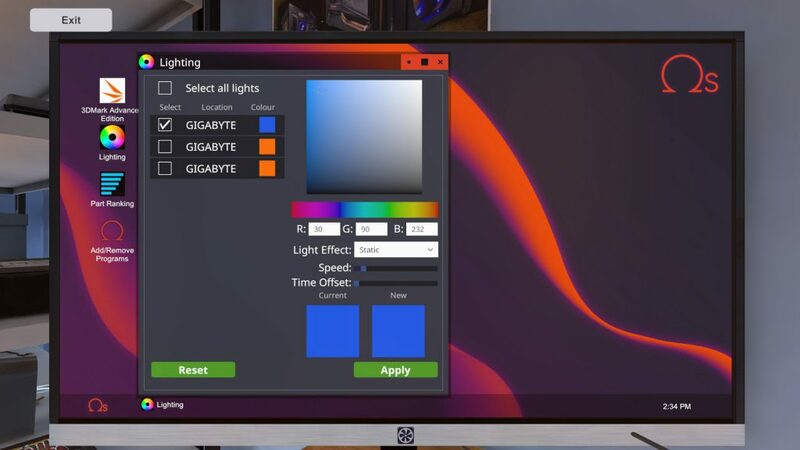 So, what is your favorite part about PC Building Simulator? Have you tried playing it yourself? Tagged computer building simulator, pc building game, pc building simulator, pc building tutorial. Bookmark the permalink. Awesome review Colton. It looks like fun to play. Glad you enjoyed the review, it’s pretty fun especially when putting together a monster of a build. Helps a lot for those that want to know what the process is like.